Indian skipper Virat Kohli is arguably the most consistent and successful batsman across all the three formats of the game. Virat is the most successful batsman across all three formats currently playing and is also the most consistent. Over the years, he has established himself as the best player in the team. On top of that, he is the captain of the squad and is also the holder of some of the biggest records in international cricket. 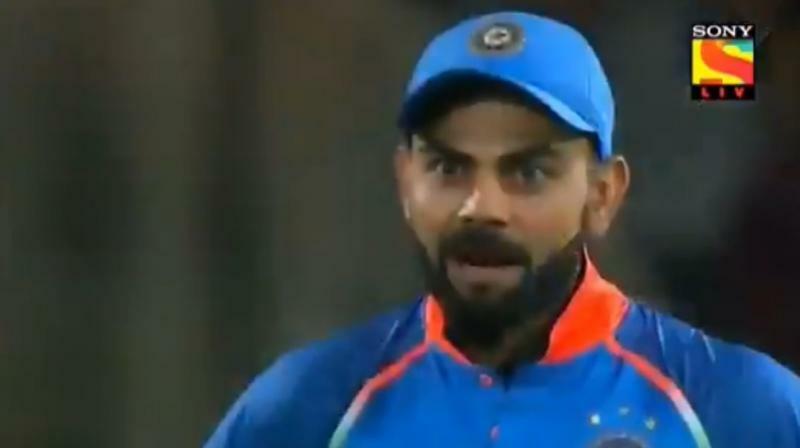 He is also known as one of the aggressive players on the field and by the time now, everyone knows you neither give Kohli a second chance nor should you ever attempt to sledge him. After the Pink ODI defeat in Johannesburg, Virat Kohli and his boys managed to lay their hands on the Momentum ODI series trophy after beating South Africa by 73 runs in the fifth ODI at the St George’s Park in Port Elizabeth on Tuesday. And it extended India’s lead to 4-1 and powered them to the top spot in ICC ODI rankings. We all know Virat Kohli as an aggressive cricketer on the field. He rarely gives chance to the opposition to get him out or sledge him. While many applaud his attitude, some find the Indian stalwart ‘over’ aggressive. He has been questioned for his aggression on the field. The Indian skipper is now fed up with the criticism. Thus, he has now decided to put a tape on his mouth in the sixth ODI against South Africa. We had earlier seen West Indies cricketer Kieron Pollard in IPL who taped his mouth shut after consecutive warnings from on-field umpires. 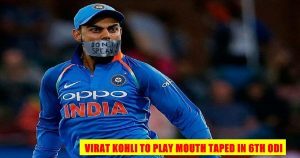 Now, Virat will also be seen using a tape on his mouth in protest. His screams in the ongoing series were loud. At one point in time, the Proteas though that Sunny Deol was captaining the Indian side. When the Proteas cricketer heard that Virat will be using tape, they also asked MS Dhoni to use it. Why because Dhoni while keeping turns into Lok Sabha speaker when his bowlers come to bowl. 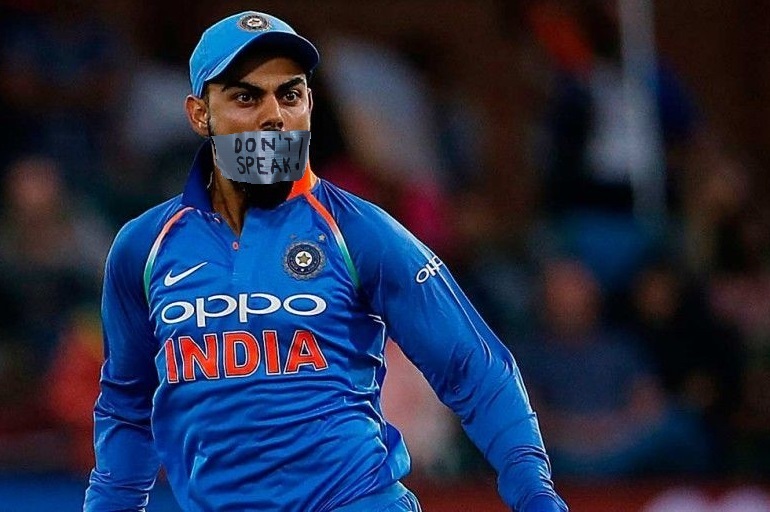 Amidst all this, the sources claim that Virat wants his mouth taped so that he won’t have to communicate with Rohit Sharma while running between the wickets. Thus, Virat would be safe. India will play their 6th ODI on 16th February. They have already won the series. Note: The article is pure fiction. It is just for fun and should not be taken seriously.